Find a commercial property or development site in Wrexham online by using our property database. Search by property size, type or tenure. All local agents are invited to submit their current stock so that you can undertake a comprehensive search of commercial property in the area. Wrexham has an excellent selection of commercial properties including industrial, office, land, and retail of varying size and quality so there is something to suit every type of business. Occupation rates are usually high, but companies do move around within the area and the situation changes constantly. The local authority itself has an extensive property portfolio consisting of over 300 units which equates to approximately 70,000 sq m of industrial units and offices. 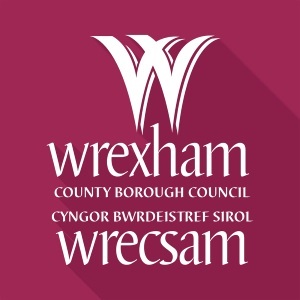 There are over 25 different industrial estate and business parks, of which Wrexham Industrial Estate is the largest, as well as being the largest in Wales and amongst the top ten, by size, in the UK. The smaller estates are, in the main, fully developed but there is a good choice of development land available throughout the borough with both green and brownfield sites ranging in size from less than an acre to 100 acres. A number of developers have land in Wrexham and offer a design-and-build service, for leased or freehold properties. As most of these companies are engaged in programmes of speculative development, it is relatively easy for them to adapt existing plans to suit a new clients particular requirements. This speeds up the process considerably and makes design-and-build a viable alternative, even to those companies that have a tight time scale to work to.